This classical backpack offers timeless style and reliable storage for daily use or casual travel. This casual backpack is made from durable nylon and features a classical design with a zip around front part and straight cut padded shoulder that make it easy to carry. 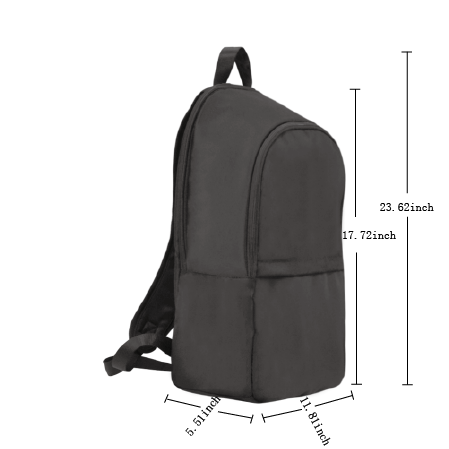 This backpack has a roomy main compartment and frontal zip where any small items that you need to keep within easy reach. Made from smooth and softy nylon material. Simple and fashionable backpack for outdoor traveling. padded back panel and adjustable shoulder straps for ultra comfort and easy carrying.